CTTC has established an internal policy and protocol to provide open access to all its scientific published results. All CTTC publications are uploaded in the ZENODO supported by the European Commission and created by OpenAIRE in 2013 to provide a place for researchers to deposit research results. The ZENODO repository is an open data repository that complies with the open access policies of Horizon 2020 and the “Ley de la la Ciencia, la Tecnología y la Innovación” (Article 37). 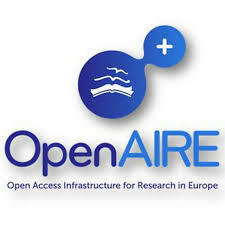 The publications uploaded in ZENODO are automatically recollected by the OpenAire and RECOLECTA repositories. The internal procedures is based on the upload of the publications by the same researchers in the internal backoffice of the CTTC. Trained administrative staff is then in charge to review the publisher policies regarding embargoes and open access in order to comply with them when the publications are uploaded in the ZENODO repository. Currently CTTC provides this service for all the journal and conference publications generated by the researchers during the academic year. If any researcher is also interested in uploading report documents, research data, or software, it is also possible, but up to now this is left as an optional service, which is used by the researchers on a demand basis and based on their research strategies. New: Open access to research data started on 1st January 2017 for the Horizon 2020 projects. Only when the CTTC is the leader of the project it will need to be uploaded into the ZENODO. A Research Data Management Plan must be created betwen the first 6 months of the project and the trained staff wil be in charged of the upload of this plan in the ZENODO repository.